To give you an idea of where Mulcol's fire-resistant products can be used, we highlighted a few reference projects below. In the centre of Machelen, along George Ferréstraat, Woluwestraat and Cornelis Peetersstraat, Matexi is developing a new neighbourhood. 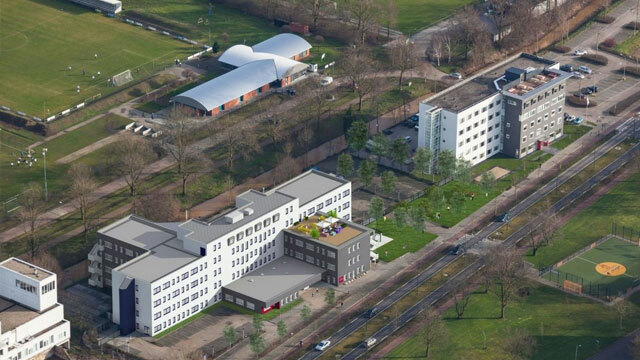 In total the neighbourhood developer is realising about 100 apartments and 26 houses in a public-private partnership with the municipality of Machelen. 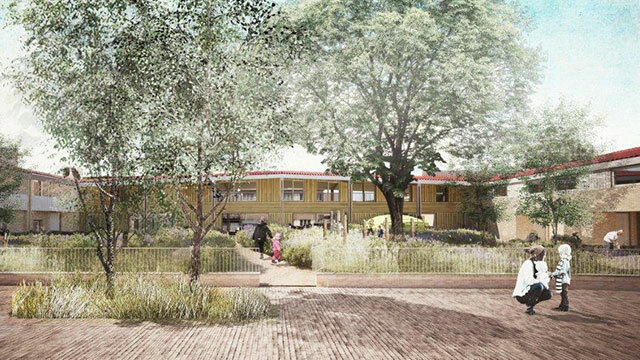 In addition to family homes, the neighbourhood developer is also designing a new day care centre that is slated for the autumn of 2018. The new day-care centre will provide an increase in the available childcare capacity from 55 to 72 children. 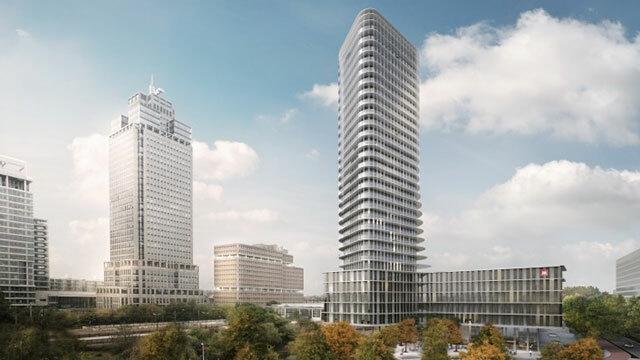 The Fenixloodsen building on Katendrecht in Rotterdam is being redeveloped. At the top of the Fenixloods I will be a new building with 212 loft units and 78 rental and 134 owner-occupied apartments. 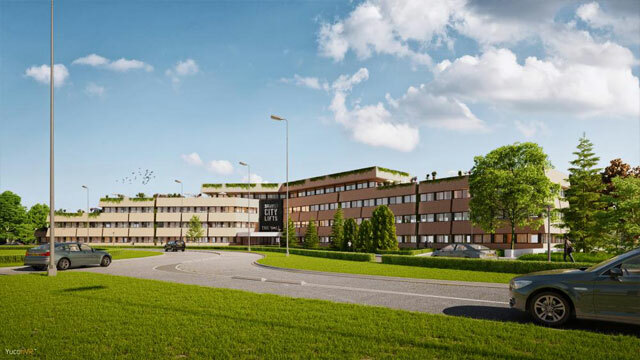 The redevelopment of Fenixloodsen consists of renovation and demolition/new construction of the existing building and new construction at the top of the building. The former warehouse area will provide space for restaurants, retail trade, a theatre and 227 parking spaces. Redevelopment of the Marconitorens in Rotterdam is the largest transformation project in the Netherlands. The towers consist of 860 rental apartments and a few penthouses, and a rooftop restaurant has been built in one of the towers. The towers have been named "Lee Towers", named after a famous singer from the port city. In Amsterdam-East, on James Wattstraat, a former office building has been transformed into 205 rental apartments with a number of studio apartments on the ground floor. The office area has also been expanded with two new storeys. The tenants and users of the offices will have access to facilities such as a roof terrace, a fitness room and a laundry room. 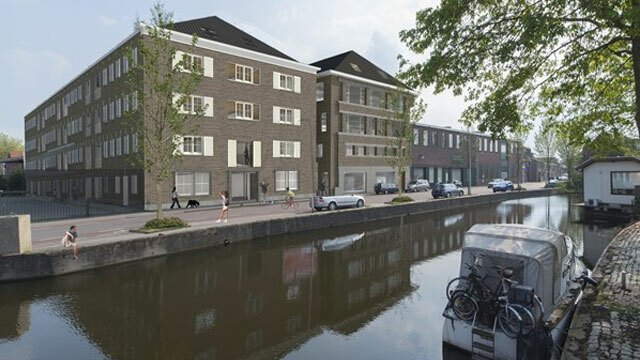 In Alphen aan den Rijn, 126 apartments have been built on Prins Bernhardlaan by order of Amvest and Fred Developers BV. 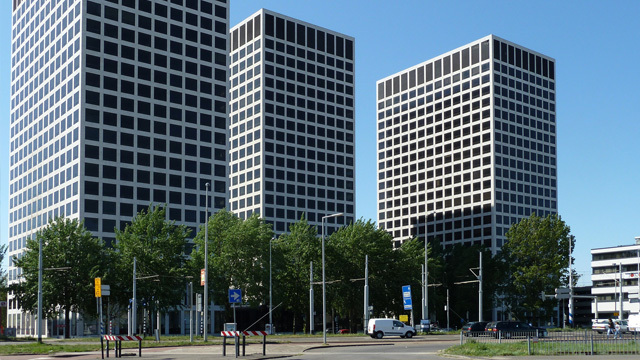 The apartments are located in the existing office building of Rijnstate. The building has 4 floors with a total surface area of approx. 11,000 m2 and a parking space underneath with space for 142 parking spaces. 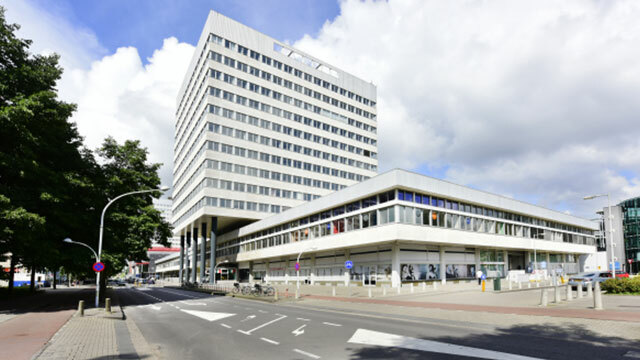 Outdated offices of the World Fashion Centre tower III from the 2nd to the 13th floor have been converted into 294 loft apartments by order of City Pads from Eindhoven. The other areas on the ground floor and first floor have retained their function as a location for clothing stores. With the addition of a completely new floor, the total floor area will be approx. 40,000 m2. The Splinter is located between Coolsingel and Lijnbaan, right next to the ABN Office and opposite Hotel Atlanta in the centre of Rotterdam. The new owner has transformed the 70-metre high office building into a hotel with 150 rooms. 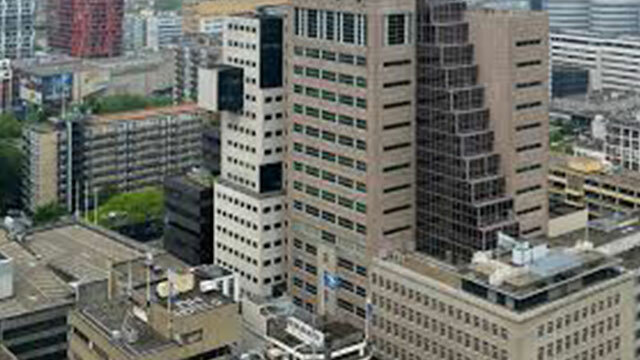 De Splinter, dating from 2002, is the third largest office building in the Rotterdam city centre which will be converted into a hotel. J.P. van Eesteren started the build of the Amstel Tower in January 2016. The project is situated directly next to the Amstel station. The Amstel Tower, with its 100 meters, is the highest residential- and hotel tower within the ring road of Amsterdam. Making this a new eyecatcher for the capital. Aside from the hotel with its 186 rooms the building also has 192 city apartments, a parking lot with 171 spaces and two hospitality venues on ground level. 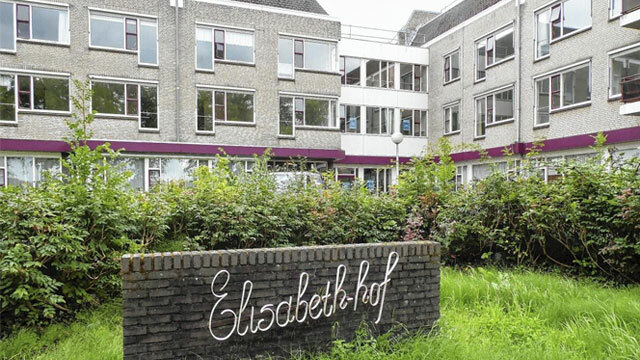 In august 2012 it became known that the Franciscus Hospital in Roosendaal and the Lievensberg Hospital in Bergen op Zoom would merge on the 1st of January 2015. 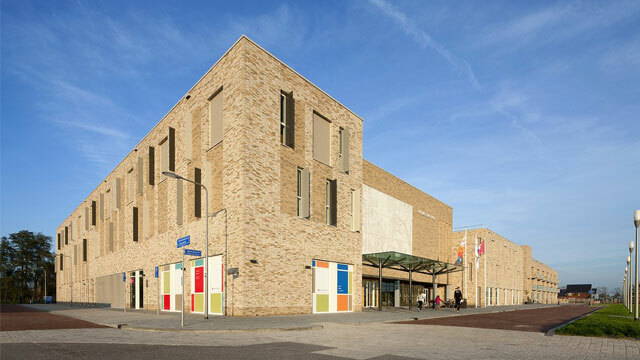 By doing so a new hospital arose with two headquarters in Roosendaal and Bergen op Zoom and three outpatients’ clinics in Steenbergen, Oudenbosch and Etten-Leur. Due to the merger the organisation is now better equipped to meet today’s demands. 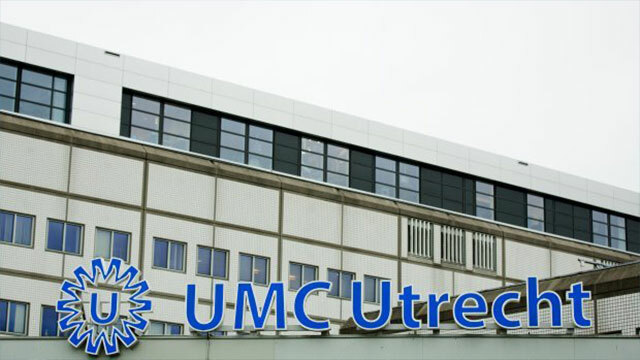 The Utrecht University Medical Centre (UMC) is an academic hospital that is affiliated with Utrecht University. 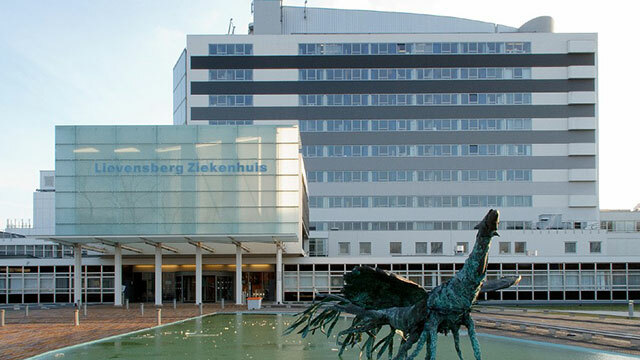 It was established in 1999, following the merger of the Utrecht Academic Hospital, the Wilhelmina Children's Hospital and the Faculty of Medicine of Utrecht University. The UMC has room for approximately 1,000 beds and more than 11,000 employees. The various buildings are located at the De Uithof university centre. This tower in Rotterdam is also known as 'Toren op Zuid' [Tower on South]. 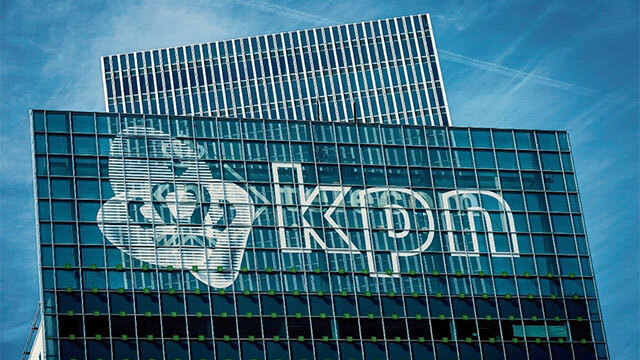 KPN Telecom's regional head office is located within the KPN office building in Wilhelminapier. The building itself is more than 98 metres high and in 200 it became one of the first new buildings at Wilhelminapier. The ground floor features an 'experience centre' and restaurants, which are accessible to the public. 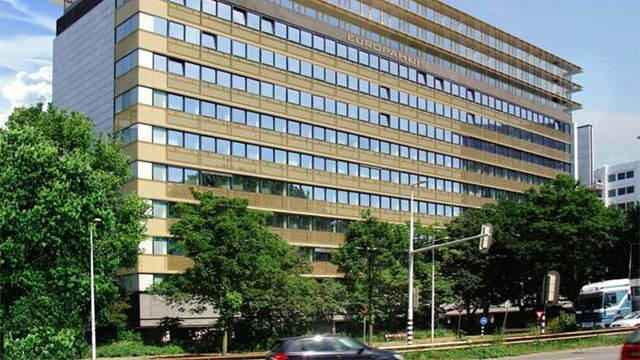 Woudestein student accommodation was built on the Woudenstein Campus, next to the Erasmus University campus. The building includes 280 student apartments and a terrace on the roof and it stands eight stories tall. 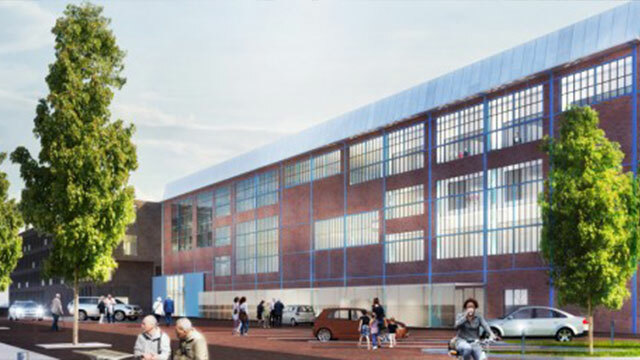 The Zware Plaatwerkerij, a disused metalworks factory in Vlissingen, has been transformed into the Scheldekwartier healthcare centre on the former site of De Schelde Shipyard. The cultural-historical features of the area have been incorporated into the design. The project comprises of 53 somatic treatment homes, 6 psychogeriatric group homes, and 54 care (support) homes. A brasserie, training room, studio rooms, hair salon, shop, physiotherapy room, theatre and parking garage will also be added. NAC plays its home games in the Rat Verlegh Stadium, which was officially inaugurated in 1996, when it was still known as the Fujifilm Stadium. The name of the iconic club icon only became associated with the home base of NAC Breda in July 2006. The stadium is located close to the northern ring road. 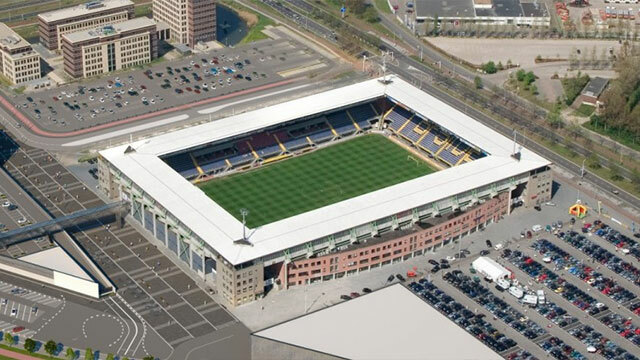 The Rat Verlegh Stadium is located in the Steenakker office complex and it has a capacity of 19,000 people, 17,750 of which are standing places and 1,250 are seats. This contemporary residential location with a total of 104 apartments provides accommodation in combination with specific care and support, tailored to the needs and wishes of the residents. The project became a reality through intensive and constructive collaboration between KleurrijkWonen, STMR, Syndion and Wooninitiatief Culemborg, while Elisabeth Weeshuis provided input for some very important adjustments. Cared Senior Living in Westerwatering is a new residential format where senior citizens can live independently, while still having access to support and meeting places in the same building. 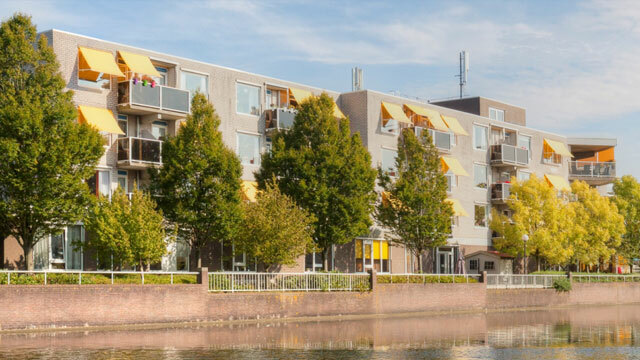 On Saturday, 11 March 2017, the former Westerwatering nursing home in Zaandam was officially opened with this new residential format. This type of housing is intended for senior citizens who want to continue to live independently, while still having access to homecare in a safe, sheltered environment. On Saturday, 18 February 2017, the first pile was struck for the new Ameco building at Ecofactorij in Apeldoorn. 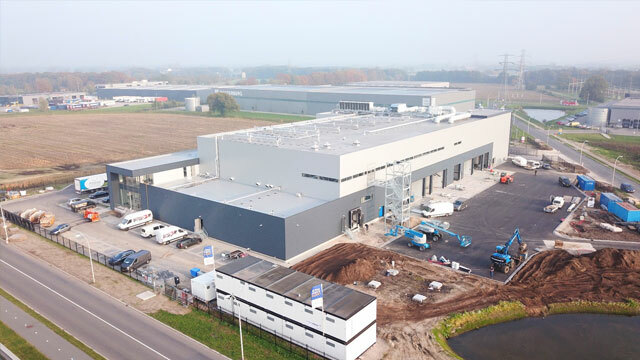 This meat processing company required a total of 10,500 m2 new construction, divided into approximately 4,000 m2 for deboning, wrapping, packaging and forwarding, 2,700 m2 for processing rooms and cold rooms, 1,700 m2 for storage and hygiene facilities, 1,400 m2 for office space and facilities and 500 m2 for technical facilities. The project was completed in November 2017. 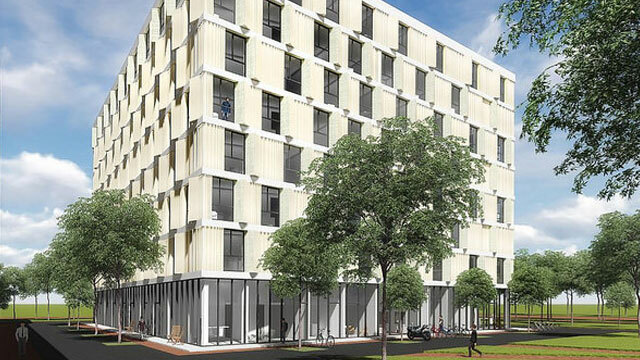 Vacant office buildings are increasingly being converted into apartment buildings. 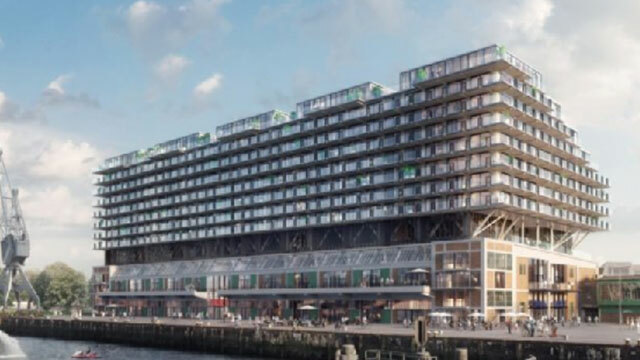 This growing list now also includes the former offices of Philips Pensioenfonds at Beukenlaan in Eindhoven, which is being transformed into 170 loft apartments. 'The Wall' should be ready by the end of 2017. The character of the old office building will be retained on the exterior, but the interior includes a kitchen with cook, a sauna and a fitness room. Delivery is scheduled for the end of 2017. The launch of the multifunctional accommodation complex project 'Het Ontmoetingshuis' was on 2 September 2016. An extension of Het Ontmoetingshuis has been built for three primary schools, which are currently also housed within Het Ontmoetingshuis. The common areas have also been adapted within this project. In addition to the educational component, Het Ontmoetingshuis can also be used for sports, catering, childcare and religion purposes. 'De Producent', the former cheese warehouse in Gouda, has been transformed into loft apartments. Inside the building, MEI architects and planners created 50 flexible apartments, ranging from 60 to 120 m2 in size. The cheese history of Gouda has been incorporated into the design, while the old cheese shelves have been used to finish the atrium and as ceilings in the loft apartments. A Cheese Experience has also been developed on the ground floor of the Cheese Warehouse. 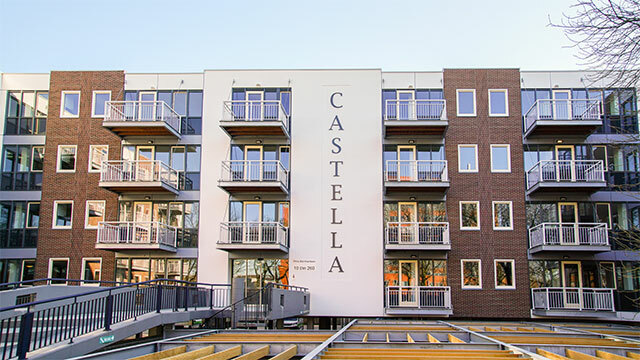 The former tax offices at Kooikersweg in 's-Hertogenbosch have been transformed into a building that contains 85 living areas, including studios and two-room apartments, with floor space ranging from 30m² to 83m². The apartments and studios meet the latest housing requirements. This building bears the name 'De Hertogin' and it is located next to De Hertog, which Certitudo Capital also transformed into apartments in 2014.